Holly has really developed an interest in book, reading and exploring words. I'm amazed at how, having just turned three, Holly has already grasped that the words on the page are there to be read...the fact that she can't read them yet doesn't seem to bother her! This is a big step in a child's reading journey and its one that should be encouraged and celebrated! It is how I knew that Holly was ready to move on up to the big girl's Leapfrog Leapreader to start exploring the Leapfrog Early Readers range of interactive books. I think I introduced Lara to the Leapreader a little too late in life - she had already started reading simple sentences but didn't often see the Leapfrog books as a reading opportunity, more of a play opportunity. She still does. That said, the games always have a good learning foundation such as word play or story comprehension and Cinderella, The Heart That Believes is no different. But for Holly I am keen that the Leapreader books are the start of a reading journey and so far she has seemed very interested in using the tip of the pen to point at the words as they are read back to her. Holly has a very short attention span so she tends to flick quickly from one page element to the next so it is a good job that the sentences are short and simple; this also makes them ideal for first readers as it makes the sentences seem less daunting. The girls haven't escaped the Cinderella fever that has swept the nation and have rediscovered their interest in the classic Disney animated movie. They were very excited when I downloaded the companion audio onto their Leapreader pen. This Disney Princess book has proven very popular with both Lara and Holly. 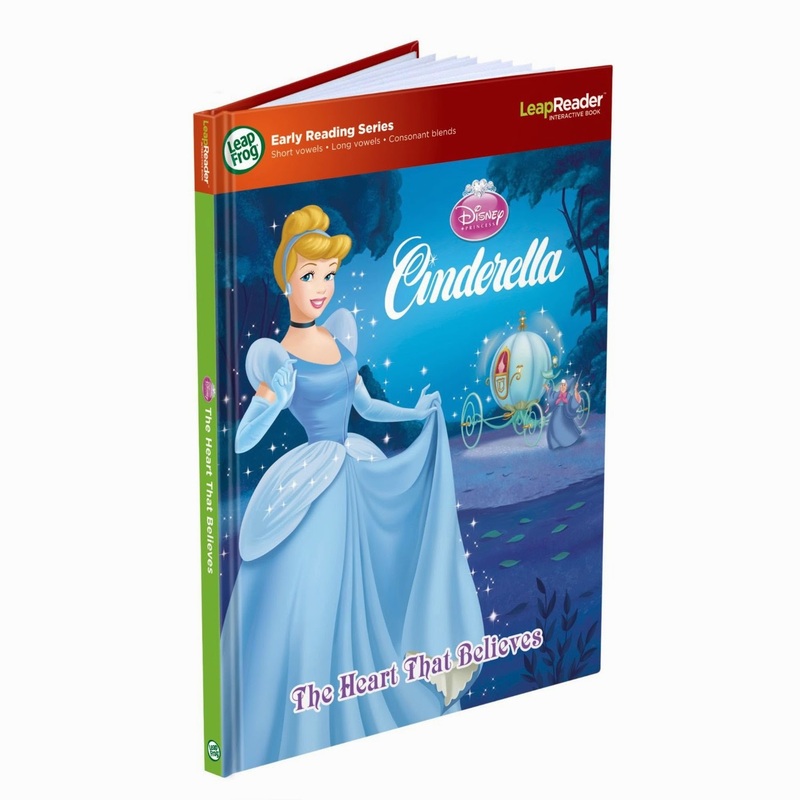 The Early Reader series is suitable for children of around 3-6 years old. Cinderella, The Heart that Believes tells the story of the Cinderella animated movie. As you place the Leapreader on the words, it will read them out loud to you. You can also read it yourself and are encouraged to sound out the words. On some pages there are interactive games to play...on others there are lots of different pictures you can point at to hear conversation, sounds and music to accompany the pictures. Holly is very taken with her first Leapreader book and has enjoyed exploring her way through it; it reminds me very much of seeing Lara, shortly before she started school, experiencing the joy of the understanding. I'm hoping that this is just the beginning of Holly's Leapfrog self-reading journey.